Such magnificent and intriguing art works as this antique Persian Tabriz rug, circa 1900, are exceptionally hard to come across. 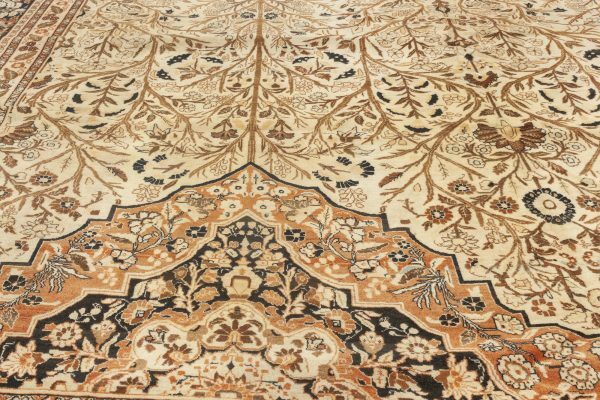 Its outstanding design is a result of the incredible artistry and experience of Tabriz weaving masters which have been honed for many centuries, as Tabriz is one of the oldest and most renowned weaving centers in the world. The main field together with the borders strikes with irrepressible beauty while conveying an important message. 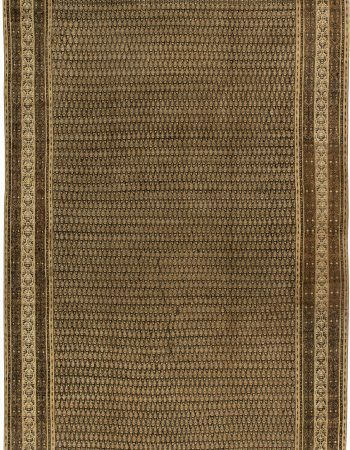 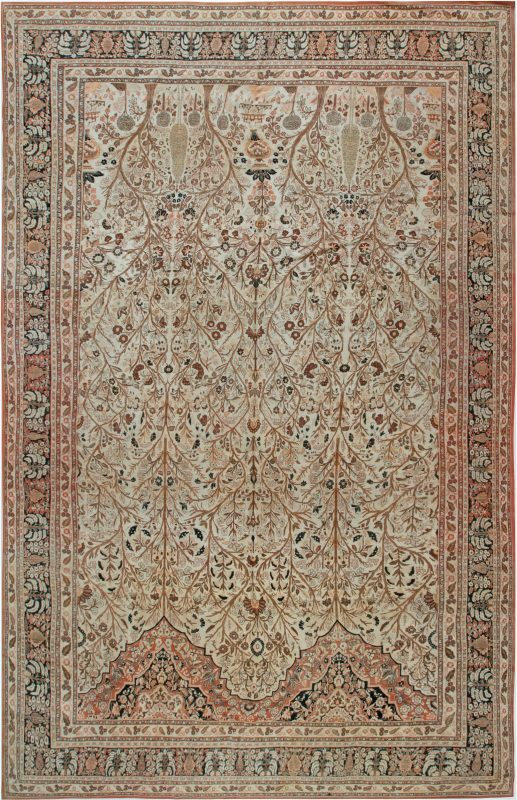 The main theme of the antique rug before your oscillates around the subject of immortality. 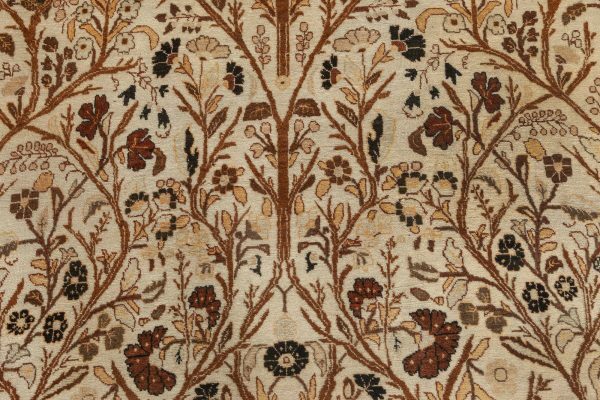 It can be deduced from numerous tree-related motifs – the tree of life is a traditional oriental symbol expressing hope for life after death. 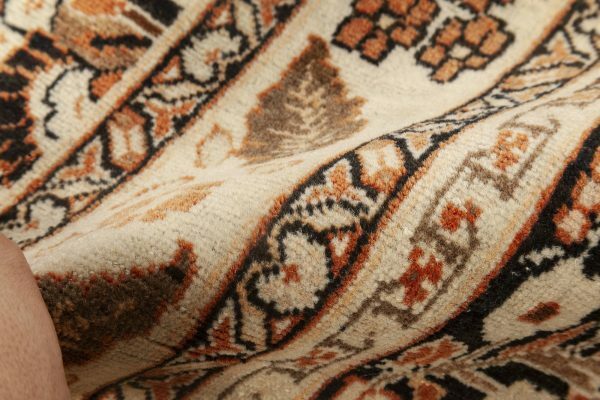 Cypresses, visible at the bottom of the main field, are associated with eastern burial rituals, while the pure white color prevailing in the design indicates purity. 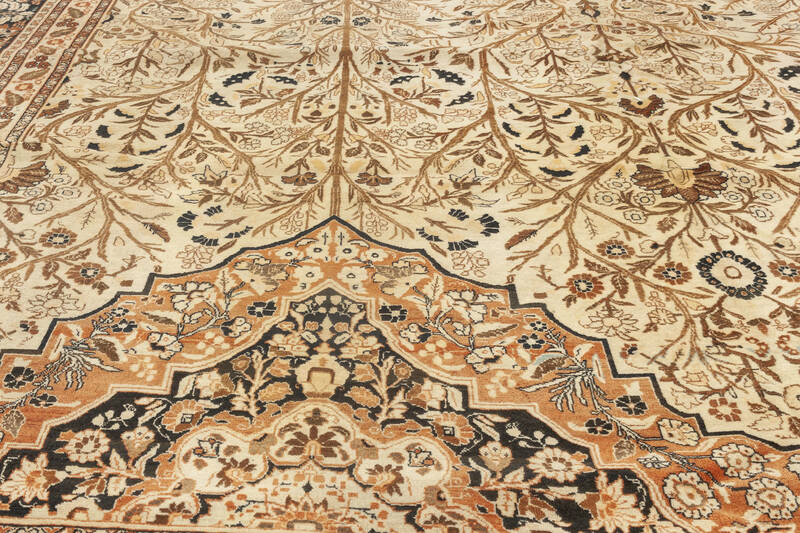 A skilled eye may also spot vase motifs, from which the lush, meandering thicket stems to reach the two mihrabs at the top of the main field. 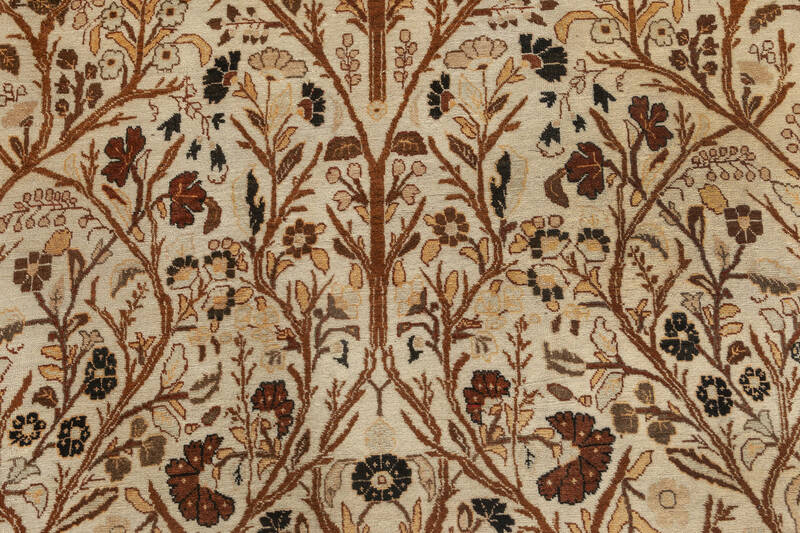 The borders, repeating tree and cypress motifs, enclose and complement the composition. 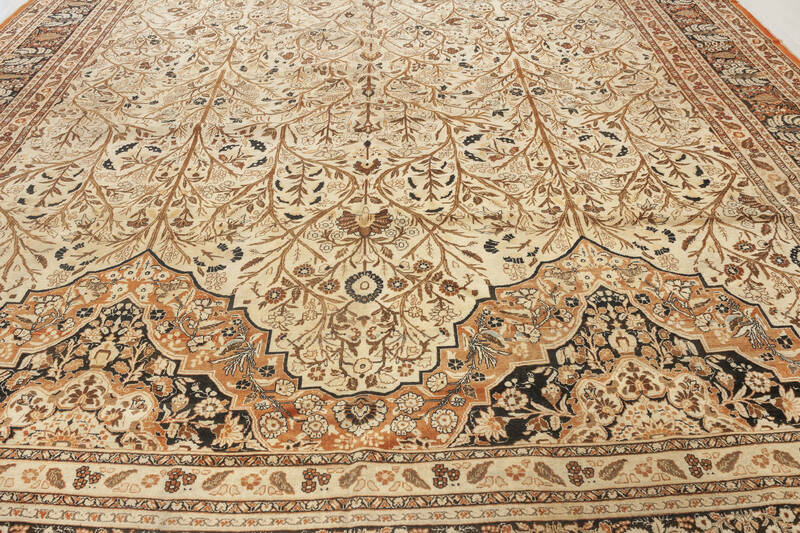 The profound thought and artistry put into the creation of this Persian Tabriz rug are visible at first glance. In terms of execution, this antique carpet is second to none. 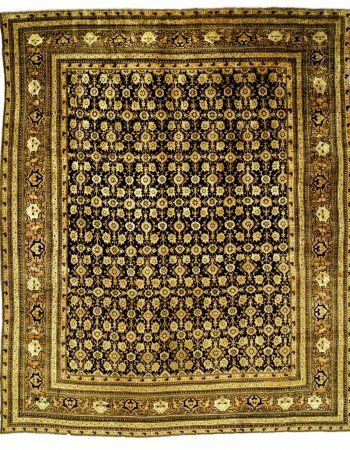 It was carefully hand-knotted of the finest wool by a skilled artisan who ensured its supreme quality and absolute uniqueness. 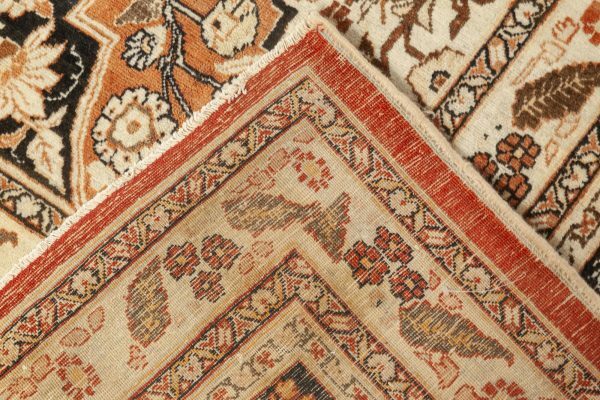 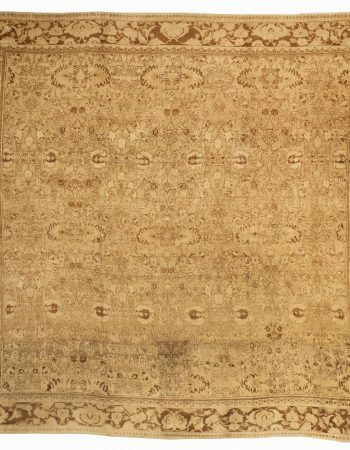 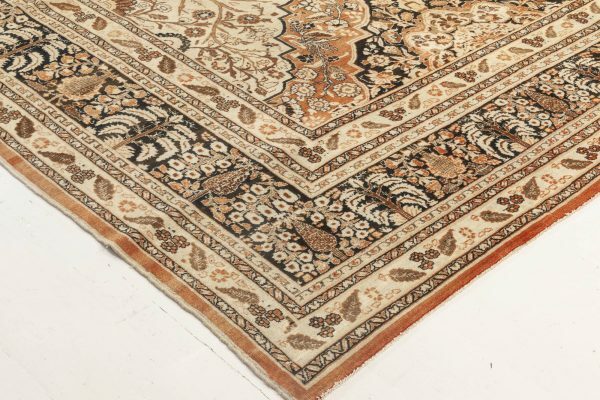 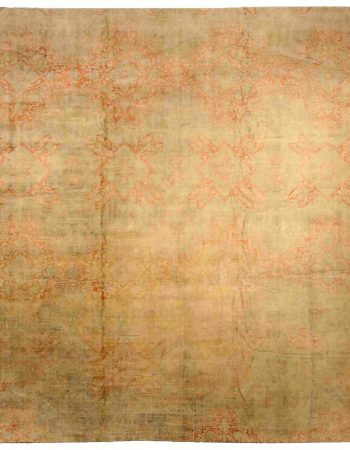 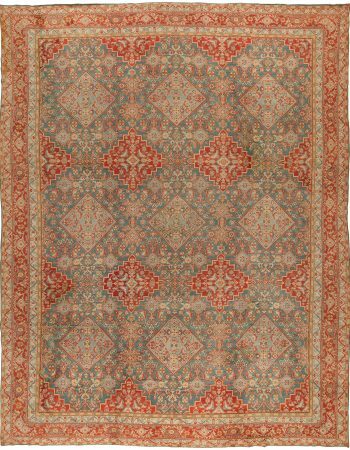 Just as it has survived over a century without any signs of wear, the Kirman rug will serve its owners for generations requiring just a little bit of maintenance to keep its ideal shape.